Some of my own thoughts. by Marcus Pietrzak • October 4, 2013 • Comments Off on Tomorrow is ethical day! is to let it rain. “I don’t want to spoil the ending for you, but everything is going to be okay”. This is the tragedy of optimism – life without suspense! by Marcus Pietrzak • November 19, 2011 • Comments Off on Change what-when-who? All Saint’s Day: Clear out the old to make way for the new. 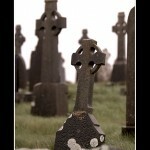 by Marcus Pietrzak • November 1, 2011 • Comments Off on All Saint’s Day: Clear out the old to make way for the new.